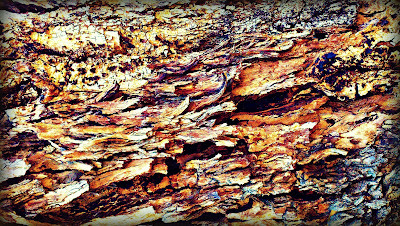 The bark and grain of wood is interesting because like fingerprints there are none alike. Each section or piece of every tree has its own lines, irregular and matchless, each original unto themselves. Like people they might share the same characteristics, same species, same height, same width and same age. Even then the wood of each tree will vary depending upon its own experience, what it has been exposed to and where it grew up. 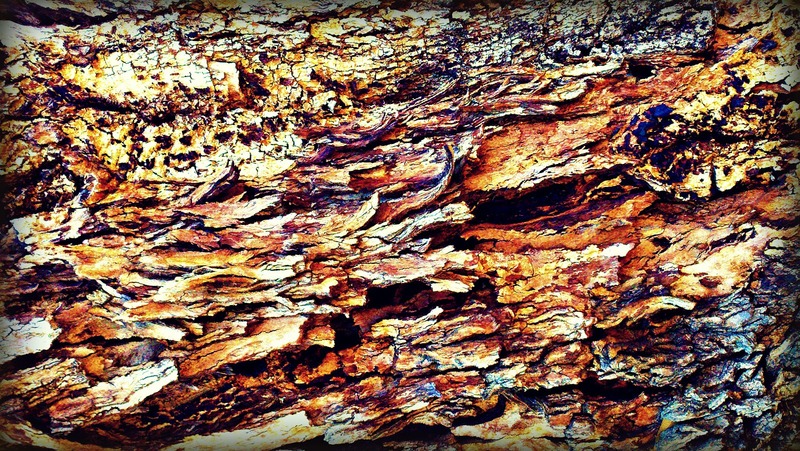 Tree rings tell the story of a life lived just as lines on the face of a person does. They need not be bold and outlined with clarity but with age they multiply and exist as part of the history. Each ring, each line signals the timbre of the year it was created. Was it an abundant year, a year of drought, an ordinary year? 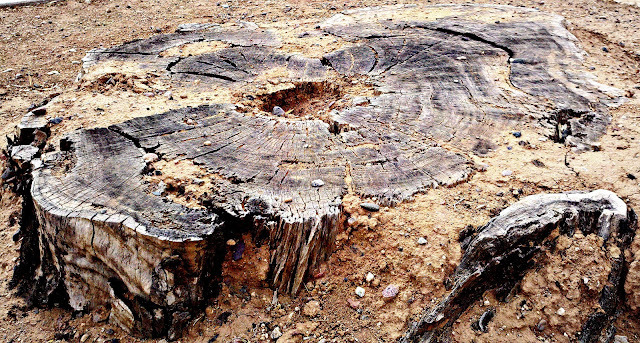 Tree rings are the inner part of the tree and although the outer shell can be altered the inner one cannot. 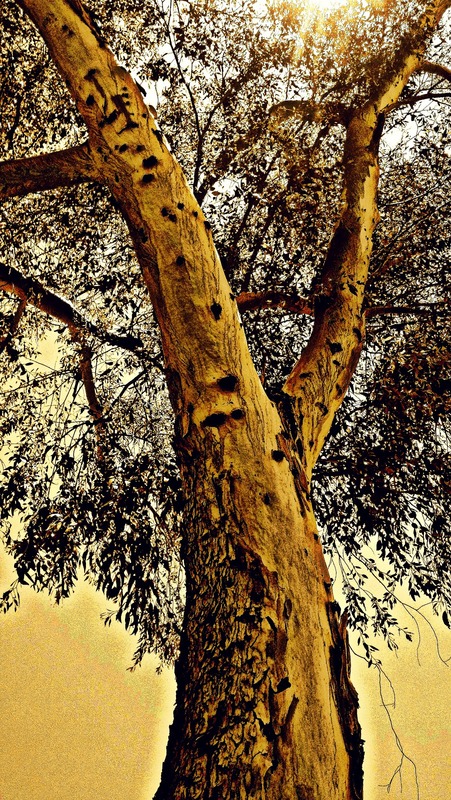 The health and well being of a tree can be measured by its outer shell of bark and telltale inner tree rings. People are like that, if the exterior has been altered, that makes as much a statement as does the interior organs of the body. Some exterior changes are a natural part of life to be embraced as are alterations in the interior. 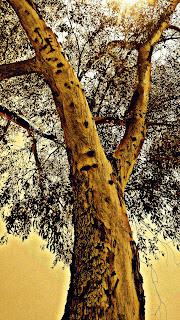 What lies inside a tree or a person may be terra incognita, unknown and yet to be mapped until it is opened and explored. A tree can be cored for its tree rings just as a human can be opened in small areas to diagram what is inside to reveal its experience, the exposure of its past, its origins and what may be ailing it. One thing is certain, to fell a tree completely in half for study or diagnosis, means death.